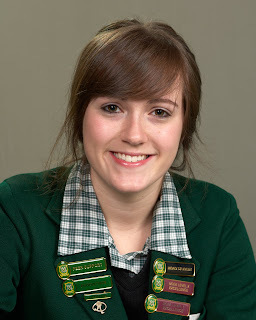 Meg Prendergast, the daughter of Donna and John Prendergast, was announced Dux of Verdon College at our Senior Prizegiving held on 8 November 2011. Her academic achievements include firsts in Economics, Chemistry, Mathematics with Calculus, Statistics and Modelling and Biology. She also received a Champagnat Service Award. Meg is Head Girl of the College. Her commitment to her studies has been matched by her contribution to extra-curricular activities. She played netball and has both coached and played basketball and volleyball. She has been involved in school productions and our Chamber Music group. She was a member of our debating team and a member of the Verdon Bishop’s Shield Public Speaking Team. Next year Meg intends to begin a double degree in Law and Science at Otago University. She has received a scholarship from the Invercargill Licensing Trust to assist with her studies.